Pictured: a side by side comparison of 2 lip products - both using the same base (which I developed earlier this year and featured in this blog post), but each with different pigments. 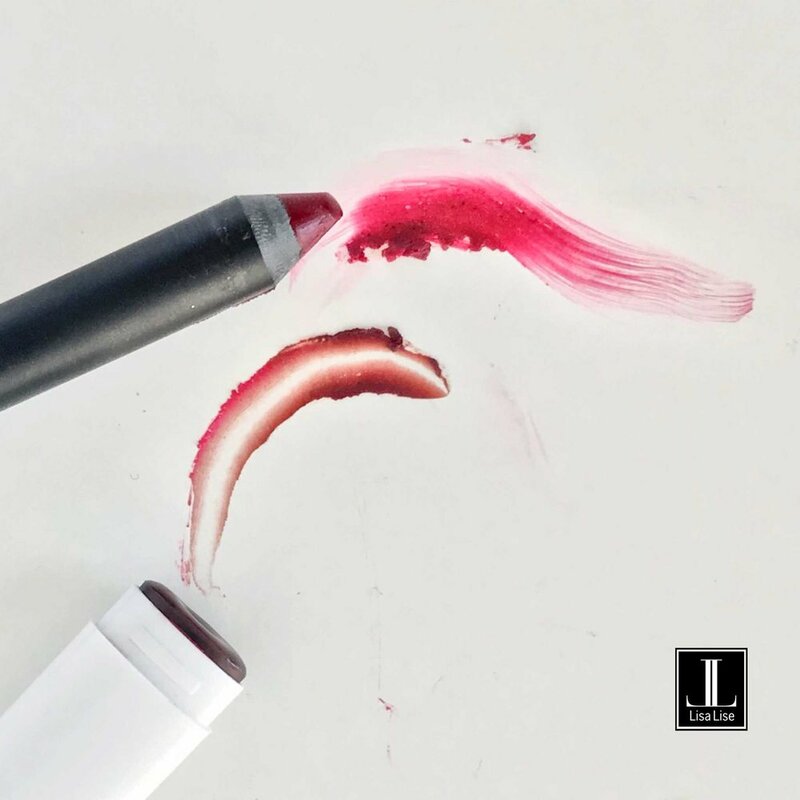 The top lip crayon contains with a mix of carmine and mineral pigments. The bottom is made using entirely plant-based pigments. The goal was to create a punchy bright red. Although the bottom product looks browner ‘on paper’, when applied, it delivers a pop of color almost as red as the carmine. Here they are swatched.